When she turned four, Anilah had none of the skills researchers say are critical for kindergarten preparedness. She didn’t recognize the alphabet or know how to sound out letters. She didn’t know her numbers. Her mother, Shalisa Carter, says she didn’t know it was important to teach Anilah those things. “To be honest, I was barely working with her on any of it,” she says. A single mom of two living in Weinland Park, Carter was working on and off at various jobs. Filling out the necessary forms for childcare assistance was daunting, so Anilah hadn’t attended preschool. Then Carter went to a family program at her neighborhood’s Schoenbaum Family Center. 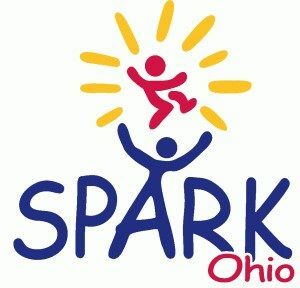 Supporting Partnerships to Assure Ready Kids, or SPARK, helps families to help their children prepare for kindergarten and succeed in school. “That SPARK program showed me a lot,” Carter says. She applied for financial assistance and got Anilah enrolled at Schoenbaum’s A. Sophie Rogers School for Early Learning. Then she watched in wonder as her child blossomed. Children learn more and faster during the first five years of their lives than at any other time, says Anneliese Johnson, principal at the school. “Our school capitalizes upon this by offering engaging learning experiences and projects. Teachers are skilled in their knowledge of Ohio’s Early Learning and Development Standards and create and adjust lessons and projects that are interesting and investing to the children in their classroom,” she says. Lessons are individualized to the learning level of each child. “They are given a project of some sort that they have to conquer,” Carter says. A unit on musical instruments, for example, allows each child to explore the sounds they like, draw pictures of the instruments, read about them and try to sound out and write their names. “The teachers keep it fun and exciting and interesting for kids and they learn from it as well. The kids benefit tremendously,” Carter says. 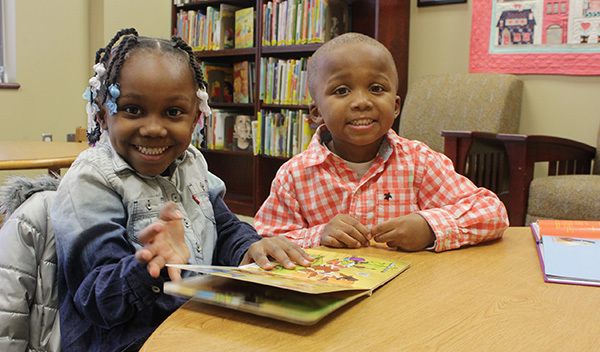 Children learn to rely on their peers as resources in Schoenbaum Family Center classrooms. “That further fosters language and literacy development, as well as the social foundations necessary for later school success,” Johnson says. The result? Anilah, who this year attends Weinland Park Elementary next door to the Schoenbaum Center, was more than ready for kindergarten. “She’s doing great,” Carter says. “She’s a great student. Her teacher loves her.”Anilah’s younger brother, Roderick, 3, now attends school at the Schoenbaum Family Center.